While effective, these mechanisms rely on physical interaction. This means that it takes time and is expensive. Can the Internet help? Today, one can go onto the Internet and build a web presence. With this web presence, millions of businesses try to get the attention of the search engines. Much like a blade in a field of grass, all businesses start looking the same! In addition, currently the Internet has no way to expose the reputation that small businesses have built over many years, nor the partnerships which have been forged/ tested over time. With a patented technology, Ocoos solves this problem with its patented B2B recommendations engine. How does it work? A business can ask for a recommendation from another business. Note: This is quite different from a consumer recommendation for a business because the reputational risk for the business is higher. Thus, a B2B recommendation carries quite a bit more weight. Assuming the other businesses agrees to recommend, the two companies are interlocked on the Internet. As figure 2 below shows, both companies which recommend you and the companies which you recommend are integrated into their websites naturally. 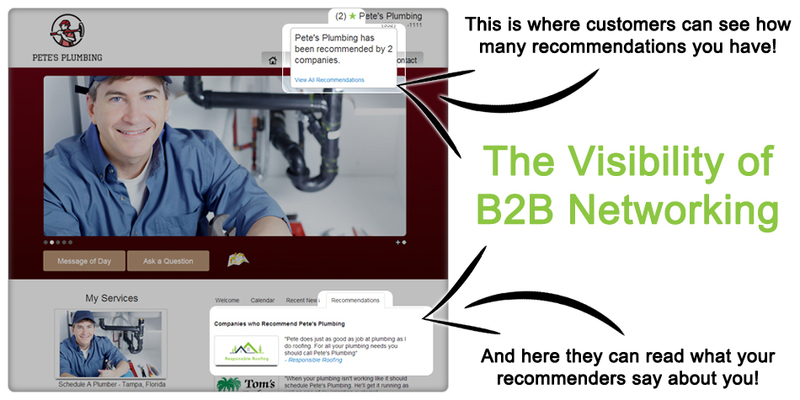 Customers can see the recommendations and traverse between the companies. What is the power of this approach? 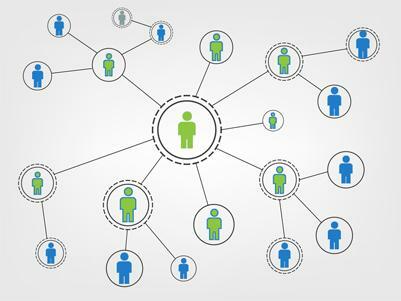 Crowd Sourcing of Marketing Effort: If one of the companies in the system is driving a great deal of traffic, the other companies in their network benefit naturally. In addition, with the linkages there are multiple way to get to your company from search engines. You have multiple shots at the Google Sun. Enlarging the Circle of Trust: If the customer knows one of the people in the network, they are much more likely to trust the other members based on the B2B recommendation. Larger Value Statement: Together the companies in the network can offer a larger value statement to the customer which would be impossible alone. Wedding Planner, Florist, Limousine Services, and caterer. Real estate agent, banker, tradesmen, appraiser, etc. HR specialist, Corporate Attorney, CPA. With Ocoos, BNI/ Chamber type of functions can migrate online, and unlike all the physical interactions involved with BNI/ Chamber, the recommendations are visible 24x7 to joint customers. Finally, a group of small companies can effectively group together to serve the customer while significantly differentiating from competitors which are large or small.